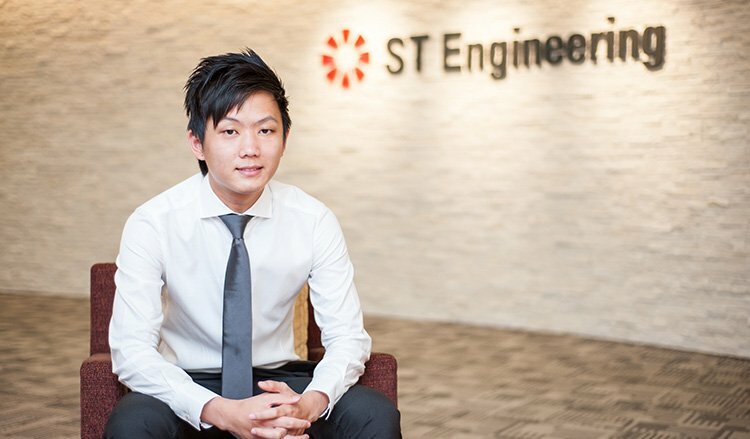 When ST Engineering scholar David Ng met an alumnus during his summer job at Nanyang Technological University, he did not foresee that this alumnus would eventually become an invaluable mentor. David quips, “I realised that he was equally passionate about engineering as I was when describing the broad ST Engineering Group to me, which combines the ST Aerospace, ST Electronics, ST Land Systems and ST Marine corporations. David, who enjoyed playing with LEGO bricks as a child, has come a long way and is now an Engineer at ST Kinetics where he is currently helping to develop an entirely new armoured platform from scratch for the Singapore Armed Forces (SAF). David speaks highly about the experience that prospective scholars can gain when they choose to embark on a journey in ST Engineering. He shares, “Not many companies in Singapore will give you the opportunity to build an entire vehicle from scratch, an endeavour that will take many years and lots of perseverance and determination.